Hi, all you Florida residents! Looking for a mid-week break, or a weekend getaway? Want to feel like you are on vacation without leaving the state? Duval Gardens is here for you. Florida's very own Caribbean island. Relax by the pool, go snorkelling on the reef and take photos of the famous Sunset Celebration. Visit the Hemingway Home or climb the lighthouse. In the evening enjoy fabulous food and entertainment at one of the many restaurants and bars on Duval Street. Florida residents enjoy a $15.00 per night discount on select room types. So what are you waiting for? It's time to enjoy living in the Sunshine State. Proof of Florida residency required at check-in. Subject to availability at time of booking excludes small queen rooms. Not valid on a third party or existing reservations. Hurry a limited number of rooms available at this rate. Use Code FLA19 from our website or call us directly. Treat yourself or your loved one! We are pleased to offer the following additions to your room. Just call or send us an e-mail before your arrival date. Price includes tax. You must be over 21 to purchase alcohol. Peirano Estate Vineyards "The Other Red" or "The Other White" wine. Each a perfect blend of three grape varieties. The ideal way to start your vacation. Surprise your significant other with a chilled bottle of sparkling Prosecco & silk rose petals adorning the bed prior to arrival. 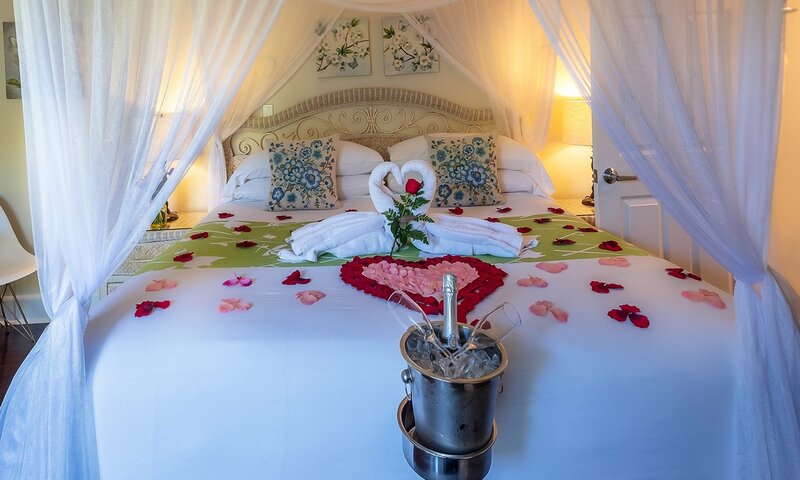 Includes a bottle of Sparkling Rosé wine chilled and awaiting your arrival along with red Silk Rose petals and Swan Towels decorating the bed. The perfect way to celebrate that special someone. Includes choice of one house red, house white or sparkling wine, plus in-room birthday decor prior to arrival. Other wine varieties are available, so please call us if you don't see what you are looking for. Being a small property in a prime location we do book well in advance. 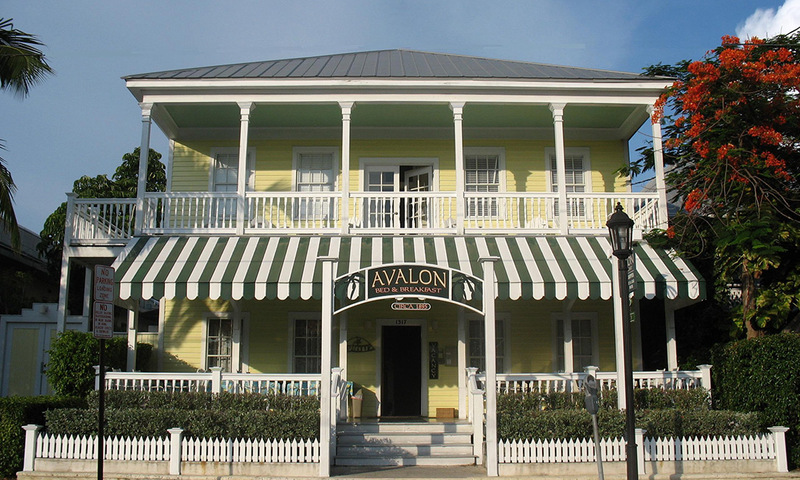 Not finding availability for your dates, please check our sister property The Avalon Bed and Breakfast, also located on Duval Street. 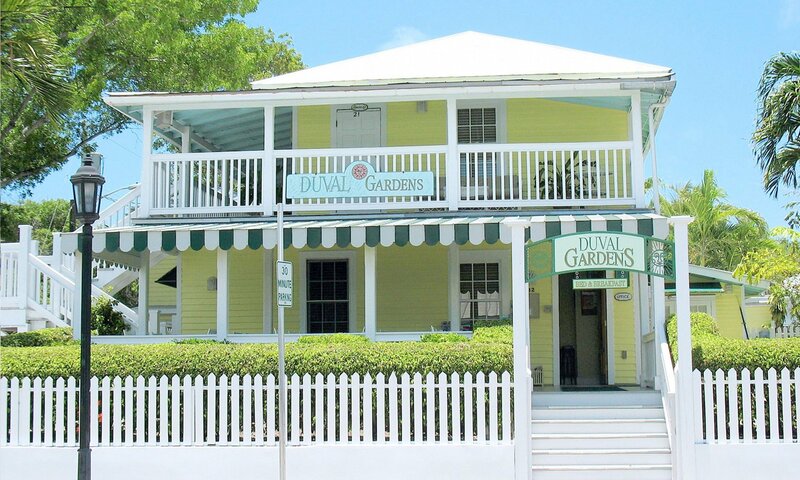 This historic property is located across from the Key West Butterfly and Nature Conservatory and near the Southernmost Point in the USA. Boasting 19 beautifully appointed rooms and recipient of the Lodging Association of Key West and the Florida Keys Inn property of the year award.